Published by Cyril Huze May 17th, 2016	in Editorial and Events. Victory Motorcycles® invites everyone to take “The Road Home Challenge” and make a contribution to Iraq and Afghanistan Veterans of America (IAVA), an organization committed to providing support and resources to the newest generation of U.S. military veterans. 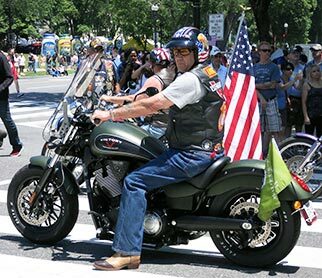 The goal of The Road Home Challenge is to raise $100,000 for IAVA by the end of May, and the first 500 donors will receive exclusive merchandise co-branded with the logos of Victory Motorcycles and IAVA. Individuals who want to contribute to IAVA during The Road Home Challenge. Participating Victory Motorcycles dealerships across the country will salute veterans with military appreciation events on Armed Forces Day, May 21. Visit the Events page on the Victory website for the list of participating dealers. 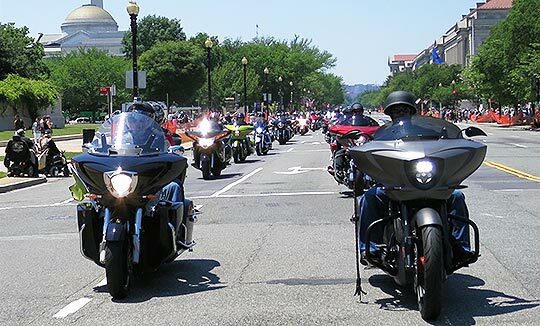 Victory riders and dealers are also taking part in the Rolling Thunder ride in Washington, D.C., on May 29, the day before Memorial Day. Love it! Good Job Victory! Ooh Rah >>>.Semper Fi TO ALL THE TROOPS !. Kudos to Polaris/Victory for making this happen, again !!! Good on you, Victory! Vets need all the help they can get having often given so much for others.